Thanks to our photographer, Ruth Frock. We had a blast celebrating seven wonderful years together. Thank you to all who walk through our doors everyday with the courage and gumption to dance your hearts out. You give us more joy than you’ll ever know. Congratulations to all of our students and teachers for raising the bar yet again with outstanding performances this spring. We are continually inspired and impressed by the level of dancing at our studio. And we have a blast doing it. We had a blast traveling around the Caribbean with our friends from the studio. More photos will be added to the album! Here are pictures from our "Members Only" Black and White Ball. 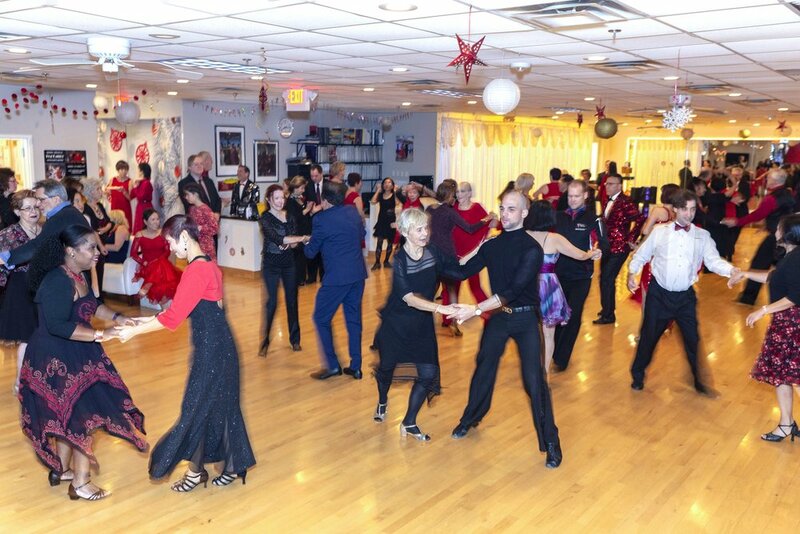 This was a free party to thank our best supporters who attend group and private lessons at Elegant Dancing. No better way to ring in the new year than with our dance friends and family! An evening of laughter, delicious food, creative dancing, and great company. 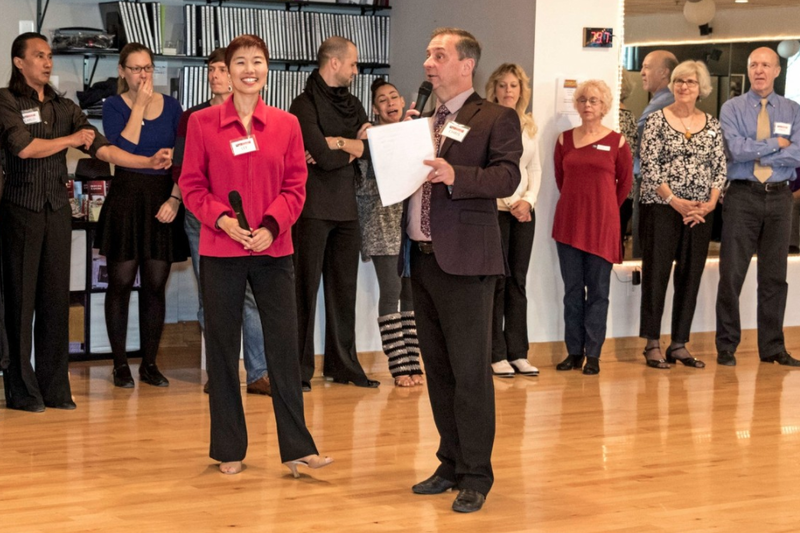 As we celebrate six years at Elegant Dancing, we strive to always keep our hearts and doors open to new friends. Thank you to all who helped show a bit of the magic we feel here every day with the greater DC metro community. Our students enjoy semi-annual showcase events each Spring and Fall. Concentrated practice on one dance improves confidence, technique, and gives the student an opportunity to insert their personal creativity into a choreographed routine. 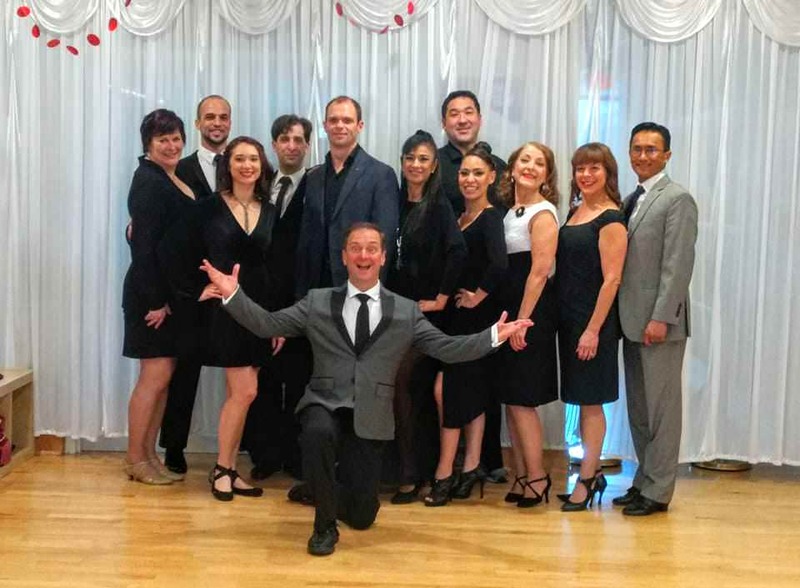 "Dancing with the Stars" has nothing on our showcase events! We were fortunate to have many superb photographers at our showcase event this year. Many thanks to Ruth Frock for lending her talents to our event. Normally a wildlife photographer, Ruth tried her hand at photographing our dancers. Well done, Ruth! Feel free to download your favorite photos! More coming soon. Our spring showcase was our biggest yet, with 64 student routines and a pro show. Our amazing students and staff made this busy event run like clockwork - so enjoyable, upbeat and creative! Thanks to our wonderful photographers who contributed to this album from our spring showcase 2017 album. Special thanks to Joseph Li, Trang and Vit Ouk.